For the sake of easy-reading we have organized our gift guide into sections "For Her", "For Him", "For Kids" and "For Home". However, we will be the first to say that the gift ideas listed below can most certainly move between categories. These creative, artisanal gifts are to be shared with anyone and everyone! Love at First Blush Feather Earrings | handcrafted in Toronto, Love at First Blush is a one-of-a-kind collection of leather feather jewelry pieces. Cici Art Factory | touted as "art for little eyes", you'll find adorable letter art at Cici Art Factory. Make sure you take a moment to check out their canvas customizable portraits available upon request. 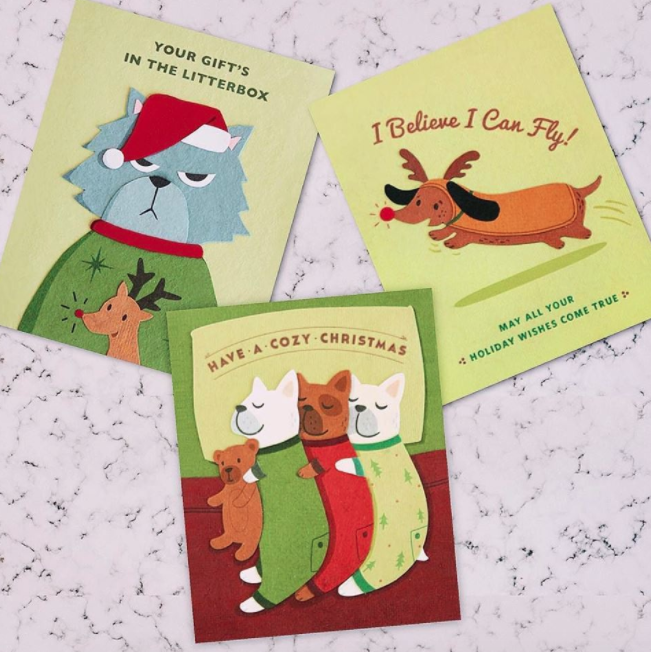 Cambio Holiday Cards | fair trade, handmade from recycled paper and perfectly witty, these holidays cards are guaranteed to bring a burst of cheer. Maria Miller Notebooks | light-weight and handmade from recycled paper, Maria Miller creates beautiful notebooks for sketching, journaling, studying and everyday jotting. Bookhou Pouch | a simple, sweet organic canvas pouch to use in your bag to easily grab your essentials or use alone as a small clutch. Krista Norris Scarf | detailed, classic and stylish Canadian-made scarves. Dirt Light Shadow Ceramic Jewelry | charming, twinkly ceramic jewelry. Check out Dirt Light Shadow's pieces and other talented Etsy Calgarians at the Glenbow Museum Shop. Mittens Addiction | wooly mittens composed of upcycled sweaters for warmth and leather for much-appreciated extra gripping abilities. Contact Mittens Addiction directly for a custom pair. Fair Anita Crisscross Cuff | this stylish, brass, adjustable cuff was made by women in India in especially empowering working conditions. 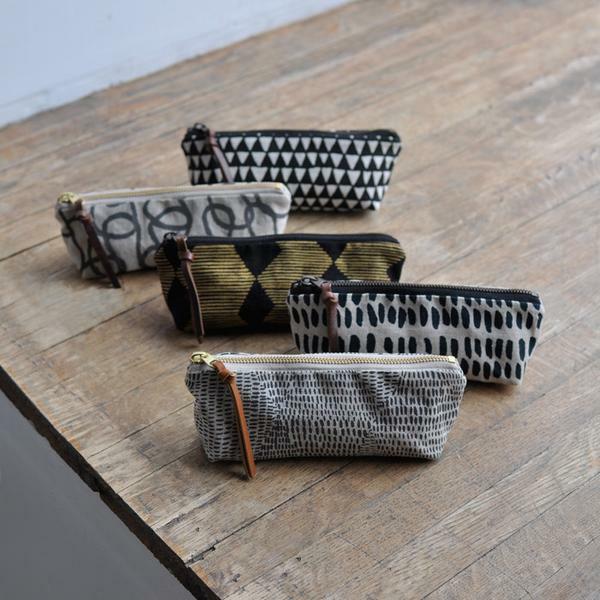 Explore Fair Anita online to shop an abundance of ethically made accessories, clothes and home decor. Amarin Collection Passport Holder | bright, handmade in Calgary vinyl passport holder with optional custom embossed initials . Knit Sweater | hand-knit in Montreal, a cheerful sweater perfect for pattern lovers. Glass House Collective Glass Blowing Classes | explore a unique new skill while spending time with your loved one at this exciting mobile glass blowing class. Feathering My Nest DIY Workshops | handcraft your own practical home decor while bonding with your buds. Check out Feathering My Nest's in-home paint night for some cozy crafting. Alora Boutique Necklaces| recycled brass necklaces from Calgary's own Alora Boutique. Handcrafted Utensils | Handmade in Calgary, a sophisticated, long lasting addition to any kitchen. Brand & Iron Customizable Mini Flask | a novel and customizable stocking stuffer. Tsane Teas | passionately prepared in Calgary with high quality ingredients and adorable packaging. Our favourite is their Earl Grey. AW by Andrea Wong Waxed Canvas Lunch Bag | a lunch bag to last a lifetime for your packed lunch aficionado. Dconstruct Concrete Cufflinks | an edgy and eco-friendly accessory. Clawhammer Press Print | a witty linocut art print sure to get a grin from the musical loved ones. Sweeney Toiletry & Travel Bag | ethically made in the Philippines, a beautiful and easy to clean waxed canvas bag from Cambio Market. Use coupon code HOLIDAYNEIGHBOUR on your Cambio Market purchase for 15% off until December 25th. Snow Alligator Calgary Tower Print | support a local artist by purchasing a charming art piece that showcases a little #YYC pride. Lamb's Soapworks Manly Soap Trio | gorgeous, natural, Alberta-made soaps that smell as good as they look. Robazzo Coasters | a man cave essential with designs varying from fishing to beer or bicycles. Each coaster is cut from salvaged driftwood logs recovered from Vancouver Island's shores. 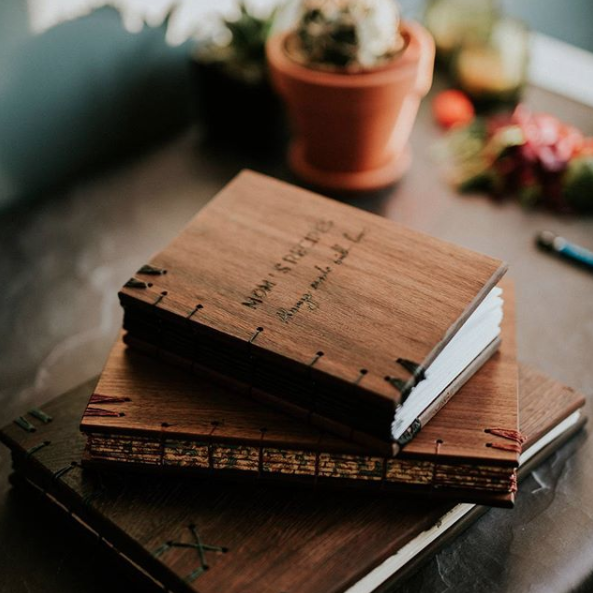 Handmade Customizable Journal | a hand bound leather notebook in a variety of sizes with the option of a personalized engraving. Krochet Kids Fox Hat | thanks to Cambio Market and Neighbourhood of Nothing, we can now get our hands on Krochet Kids items without the hassle of the CAD/USD exchange and high shipping costs!! Remember to use our coupon code HOLIDAYNEIGHBOUR at Cambio Market for 15% off! Darth Vader Tree Ornament | Adorn the tree this year with adorable kid-friendly ornaments from Kathy Lycka's studio. Unraveled Crochet Newborn Hat | a cozy hat for the littlest little. Lint and Honey Tea Towel | 100% linen with a convenient hanging loop and hand drawn design to add bright, lemony love to any kitchen. Velvet Moustache Pillows | handmade in Montreal, these cozy animal-themed cushions will thrill both young and old. Cotton Bulk Bags | get super practical for your newly committed zero-waste shopper with the gift of bulk bags. Alice in Montreal Chalk Mug | customize a deliciously wide mug with your loved one's favourite destination city. 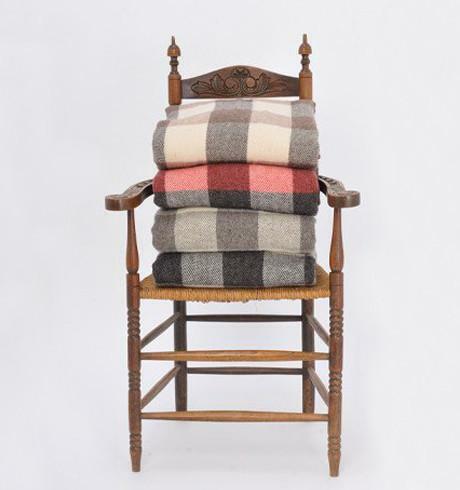 Wool Throw | help a friend cozy up real quick in a 100% virgin wool throw made on Prince Edward Island. Custom Pet Portrait | Anne Ormerod's custom pet (and person) portraits make our hearts explode into a thousand more tiny hearts! Check out her online portfolio and contact her directly for details on getting your own custom portrait. 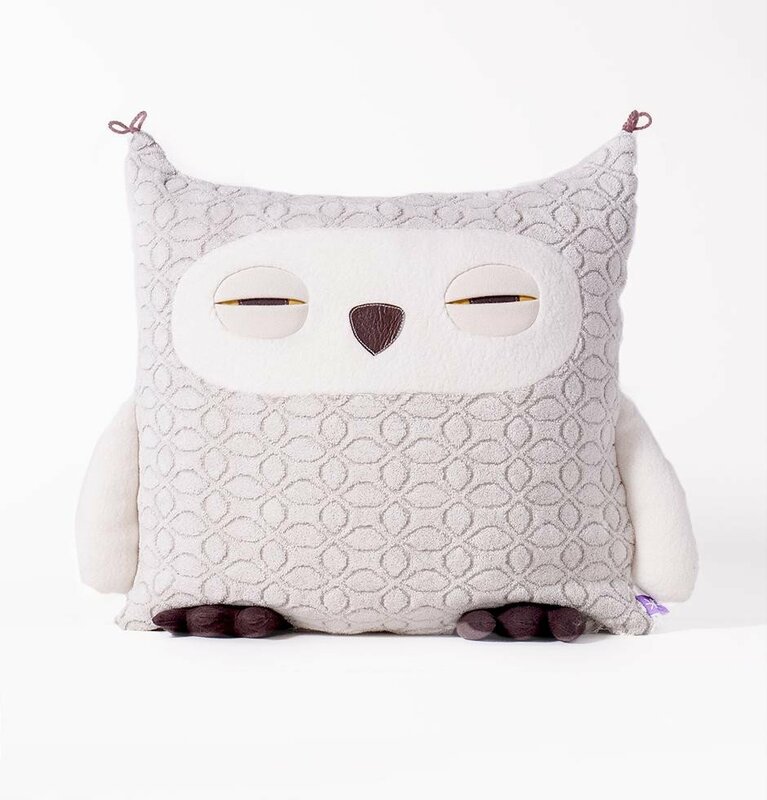 Pillow | create plushy, happy fun times with this velvety Toronto-made pillow. Paper Lover Co Custom Family Portraits | an undeniably charming customized paper portrait. Please note that this gift guide is not sponsored, each item is handpicked with love by My New Neighbour!